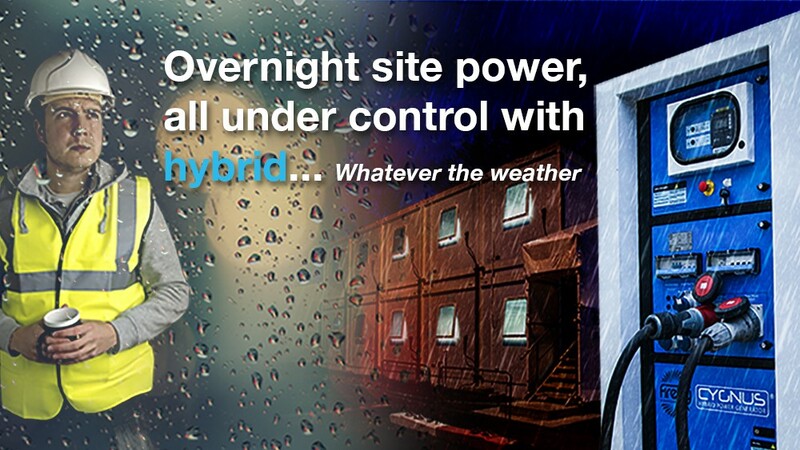 Without using any diesel fuel and in line with HSE requirements, overnight silent hybrid power on site helps to ensure that construction sites have the safest and warmest working environment possible, during the current arduous weather conditions. December 2015 was the wettest month ever recorded in the UK, with almost double the rain falling than average, according to data released by the Met Office. For most, having an adverse impact on site work causing disruption and delays. Now, parts of Britain are expected to experience the coldest temperatures in four years, with snow in various locations. With freezing weather on the way, contractors are reminded of their responsibility to maintain a comfortable working environment for site workers. During these increasingly changing weather conditions, the comfort of workers must come to fore. Good welfare facilities can positively benefit health and well-being on site, ensuring workers are not unduly affected by the cold, which can in some cases, lead to cold stress.